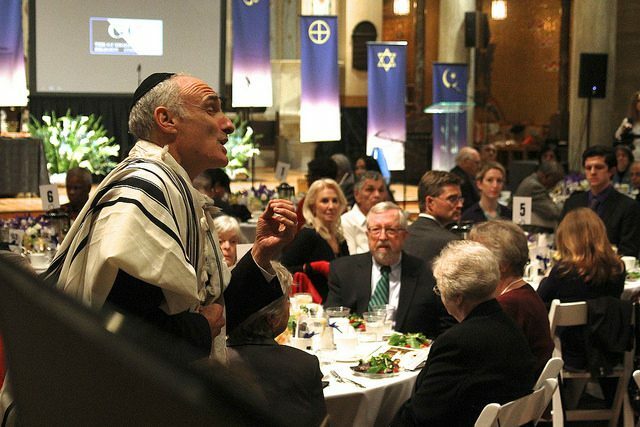 The evening began with the Abrahamic Blessing. The Abrahamic religions, Judaism, Christianity and Islam, all trace their roots to Abraham. 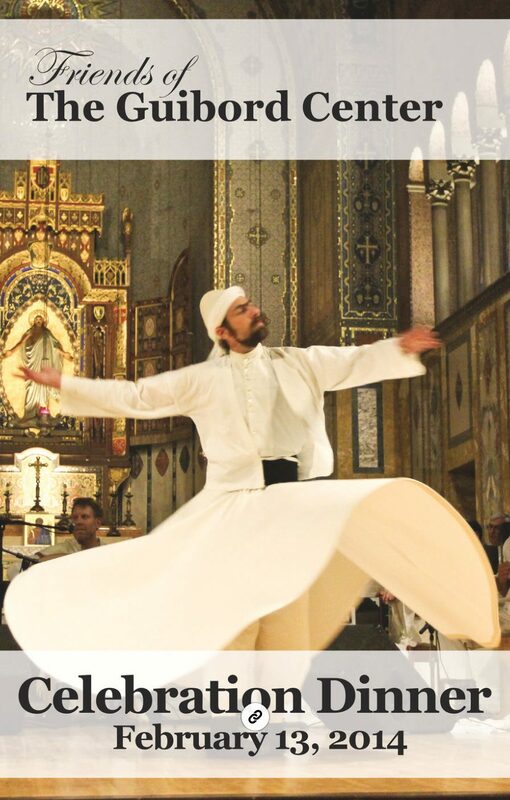 The Blessing is chanted, first by a Cantor who is then joined by a Muezzin, and finally by a Priest, blending their voices and words together in harmony. 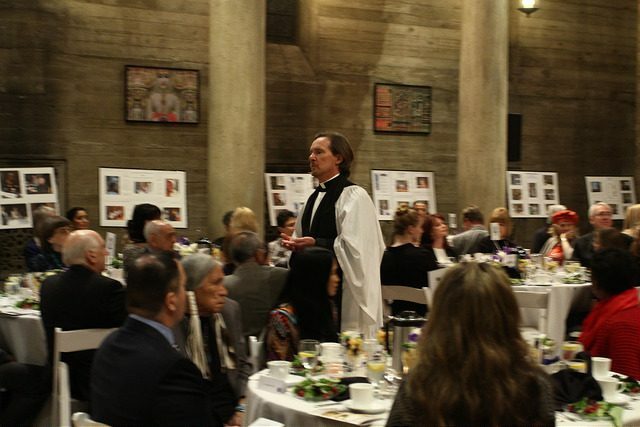 The Abrahamic Blessing, originally conceived by Dr. Gwynne Guibord, was presented at the Inaugural celebration of The Guibord Center. Watch the video. Men of Faith Speak Out is the first public service announcement (PSA) created by The Guibord Center. The short film features fathers and sons speaking out to end violence against women and girls. After viewing the film The Carter Center invited Dr. Guibord to make a presentation an screen it at The Carter Center Forum on Women, Religion, Violence and Power in Atlanta, GA. 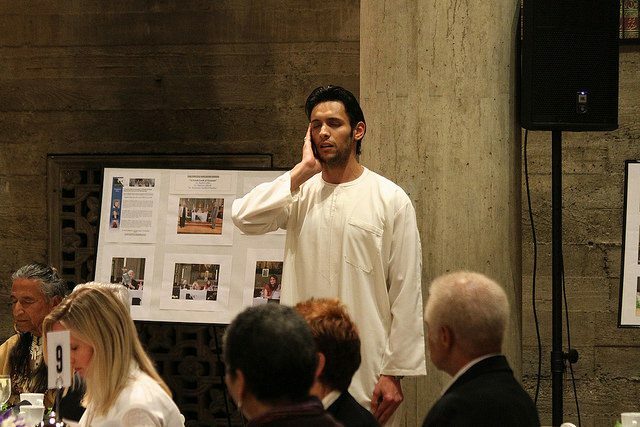 The Annual Fundraising Dinner Celebration in 2014 gave us an opportunity to bring people from many different backgrounds and faith traditions together to experience a unique evening at The Guibord Center. Citrus Valley Health Partners served a delicious vegetarian buffet while Sura Das and the Temple Bhajan Band provided music. A Silent Auction included the wonderful photography of Jesse Kaplan. 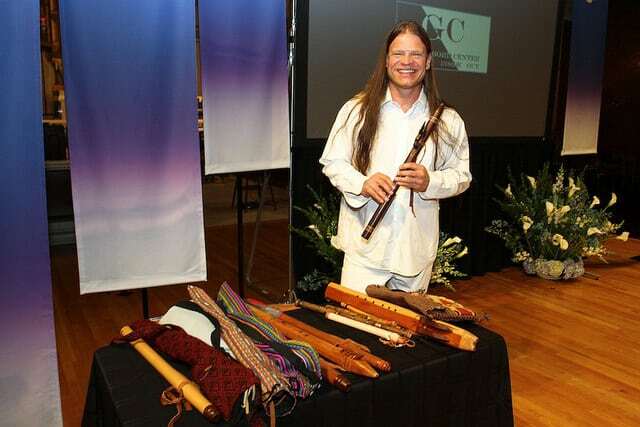 Carlos Reynosa offered Indigenous flute music using instruments from his personal collection. 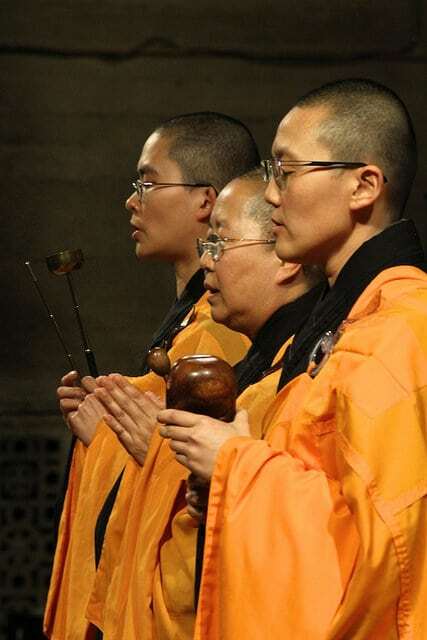 Buddhist nuns from Fo Guang Shan Hsi Lai Temple chanted a blessing to end the evening.